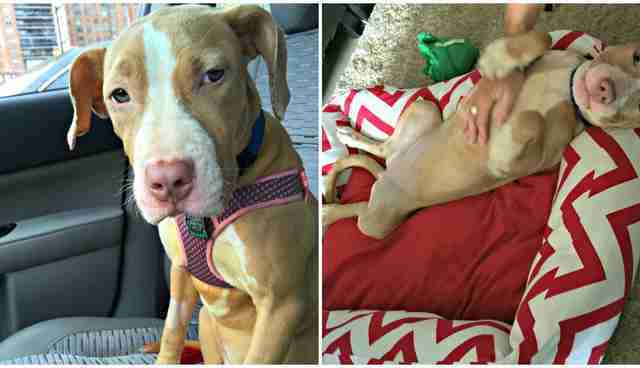 If you looked into the kind green eyes of 7-month old Pitbull pup Blossom when she was first brought to North Shore Animal League America Shore Animal League America, you'd see nothing but innocence. Take one look at the rest of her and you'd be taken aback. 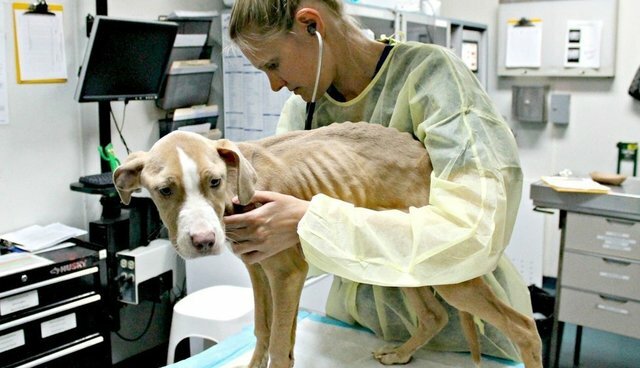 Unfortunately, Blossom's beautiful face and docile demeanor were vastly overshadowed by her immensely malnourished frame. Her rib cage protruded through her skin, her legs, hips and backside almost all skin and bones, her coat so thin that it looks as if her skeleton could puncture the skin at any moment. Not only was Blossom severely underweight and weak, but she also suffered from demodectic mange, a type of mite that causes skin lesions. Animal League America Veterinarian Dr. Briana Mirchel, who first examined Blossom when she arrived, said the puppy was brought in by a good samaritan who found her wandering the streets, but it's unclear the situation in which she was living prior. Whatever the circumstance, it's obvious she wasn't eating, nor was she being properly cared for. But despite all of that, the first thing she did was wag her tail and give kisses to our medical team, proving what a gentle and trusting soul she has. 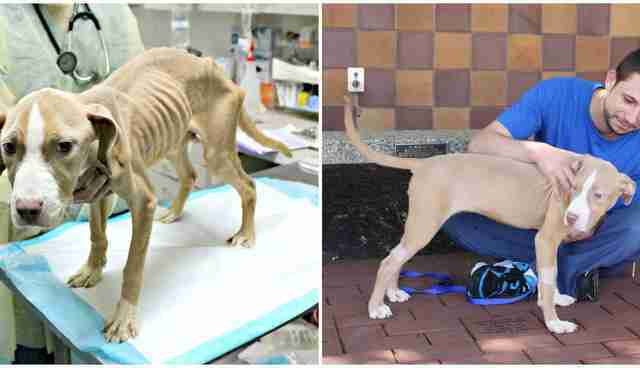 "Obviously, when you first see this little girl you can tell she's extremely malnourished and underweight. We noticed that she has several skin lesions on her, and a skin scrape found demodex mites to likely be the cause, which is not uncommon in dogs this malnourished and immunosuppressed," said Dr. Mirchel. 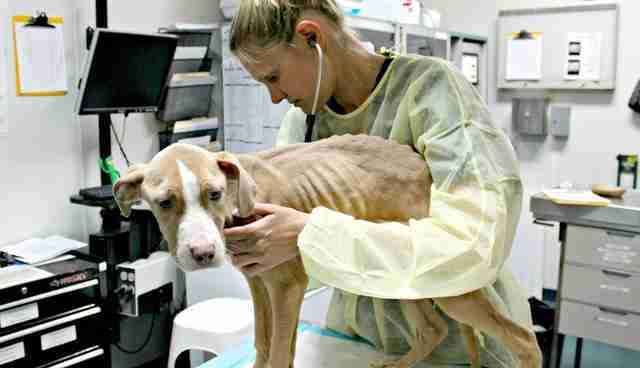 Referring syndrome, which can occur in emaciated dogs that try to catch up and ingest too many calories too quickly, was a major concern. Blossom's bloodworm and electrolytes were monitored constantly during her recovery process. Just a few weeks later, this sweet pup flourished in the care of our veterinary staff. 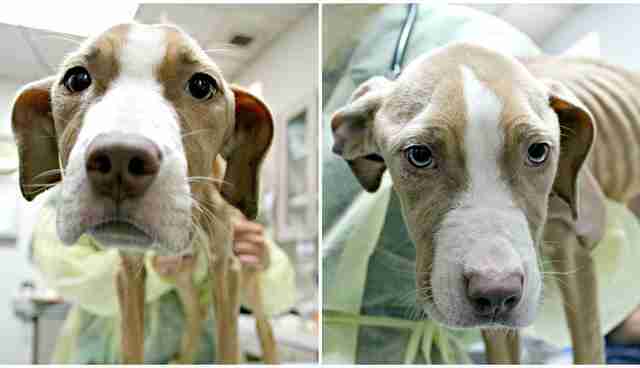 Blossom gained a much needed 12 pounds and her skin lesions have cleared up! 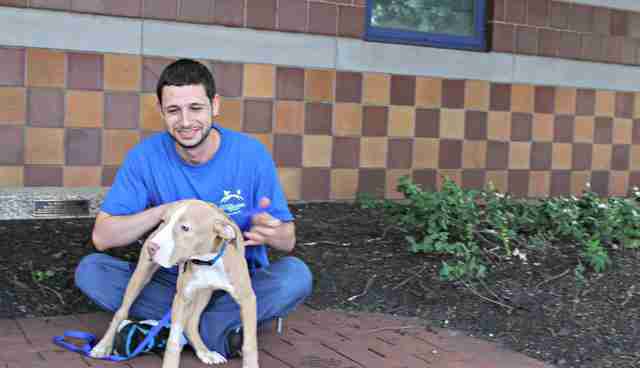 Blossom is now in her new foster home with Animal League America employee Kira Principato and she is doing great! She has a new found love for swimming, walks wonderfully on leash and loves playing with kids and small to medium-sized dogs. She is currently being crate trained and looks healthy as can be, improving every single day. While Blossom enjoys her time with her new foster family, we are working to find her the perfect home. If you're interested in giving this formerly neglected puppy a loving, responsible home, contact Tara Guclu, Foster Care Manager, at 516-883-7900 ext. 352 or by email at tarag@animalleague.org.